New York’s city’s Department of Health is moving towards banning all restaurant and bars from selling food or drinks containing cannabidiol, or CBD- a non-psychoactive compound found in the legal plant marijuana that’s said to have calming effects and heal. Despite the compound being legal, the state’s department announced that it runs a strict reign of rules prohibiting restaurants from adding to additives to food and drink. For months since the CBD trend has taken Americans by storm, the department has been “embargoing” products containing CBD, simply halting and prohibiting their sale. For example, a favorite restaurant known as Fat Cat Kitchen, whose owner told Eater pastries containing CBD were blocked from being sold, which has now created a noticeable decrease in their once booming sales. Since the oil became such a popular additive to pretty much anything, it has found its ways onto city menus appearing in gourmet dishes alongside fancy cocktails. The cities famous coffee shops along the busy streets have also adopted pricey lattes enriched with CBD buzzing up the busy streets. The department has sought after a new favorite additive before, when just last year their agency removed the favorite ingredient activated charcoal from bars last year halting all manufacturing or sales with the element from booze. The agency has claimed that for a non-food item to be added to any dish it must be checked and approved by the health code along with “generally recognized” deemed safe by qualified experts. 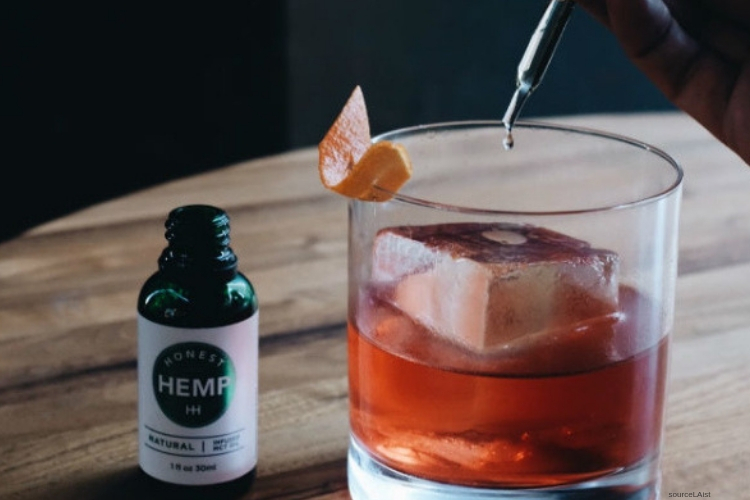 Since the new rule was set in place, five restaurants have been ordered to stop selling products containing CBD. However, none have been asked to throw out or destroy the products or the CBD. The Mayor announced that he had not engaged in any conversations with the Department of health but believes the agency has made the right decision. According to the studies conducted by the US government underscores CBD’s potential as a treatment for a wide range of diseases, including arthritis, diabetes, alcoholism, MS, chronic pain, schizophrenia, PTSD, depression, antibiotic-resistant infections, epilepsy.